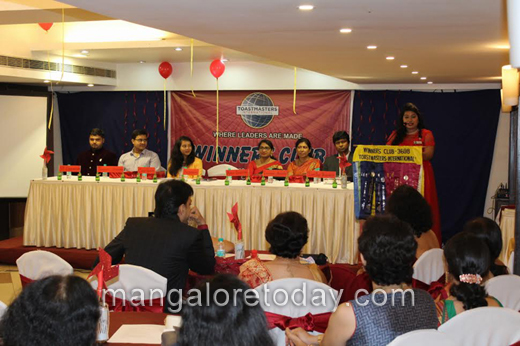 Mangaluru, June 26, 2017 : The new team of Office Bearers of Winners Club Toastmasters for the year 2017-2018 led by President Shwetha D’souza was installed at a glittering function held last evening (25th June) at Senate Hall of Hotel Deepa Comforts in the city. 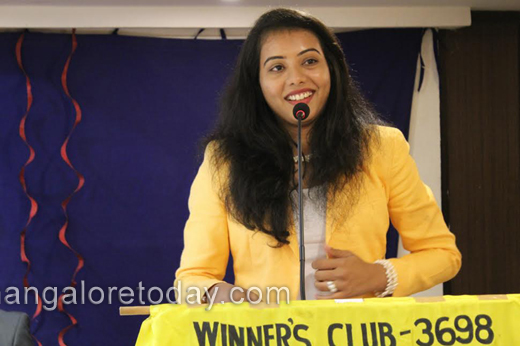 In tune with the chosen theme of the evening ‘Explore the Spirit of Adventure’, a Bangalore based young adventurer Mrs. Supriya B. S., was invited as the chief guest of the occasion. A motorcyclist and wildlife conservation enthusiast, she’s a member of Yamaha Riders Club and a Runner Up of MTV Chase the Monsoon contest. Toastmasters Area Director Tanuja Maben administered the oath of office to the new team of office bearers for 2017-18, led by the president Shwetha D’souza. The team includes Flexon J. Fernandes (Vice President – Education), Samina Nayak (Vice President – Membership), Deborah Lobo (Vice President – Public Relations), Shahab Arabi (Secretary), Lyra Pinto (Treasurer), Shivani Baliga (Sergeant-at-Arms) and Bhaskar Kiran (Immediate Past President). Vidya Shenoy rendered the invocation. Malini Hebbar welcomed the gathering and Outgoing Secretary Vani Umakka presented the annual report. Savitha Salian introduced the chief guest. 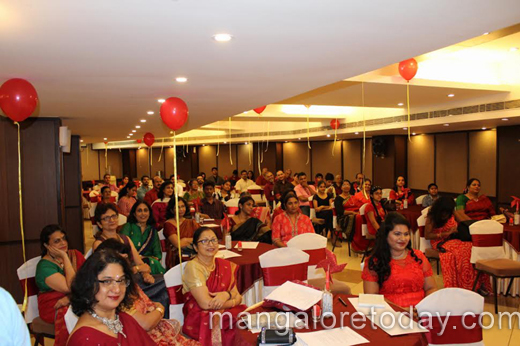 District Admin Anita Cordiero and Division Director Sagnik Biswas officiated during the function. Outgoing President Bhaskar Kiran thanked his team mates and club members for their cooperation during his tenure. 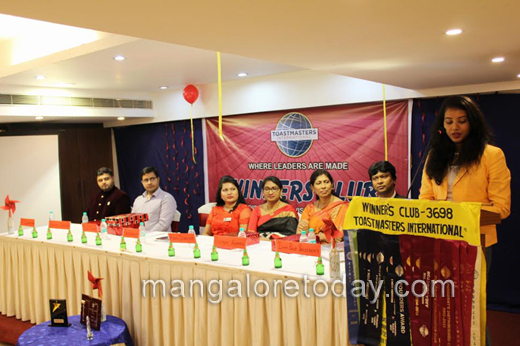 In her acceptance speech Shwetha D’souza compared Toastmaster Club to an extended family and sought the support of all for achieving the club goals during her tenure. 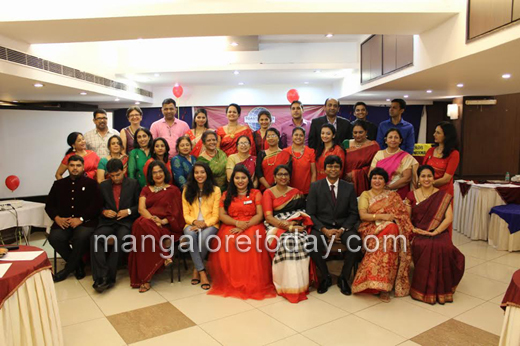 Samina Nayak inducted new members Dr. Premalatha Shetty, Sony and Shalini Prabhu. Flexon J. Fernandes entertained the gathering with a fun quiz between the past president and the new president to test their knowledge of the club activities. Area Directors Molly Chaudury, Divyashree Gatty, Presidents and representatives of various other Toastmasters clubs of the region, Bharathi Shevgoor (Port Town Advanced Toastmasters), Kamaldas (Infosys Toastmasters), Praveen Shetty (ProAct Toastmasters), Shariq (Mangalore Toastmasters) and Amitha Shetty (Milagres Toastmasters) felicitated the new officer bearers. 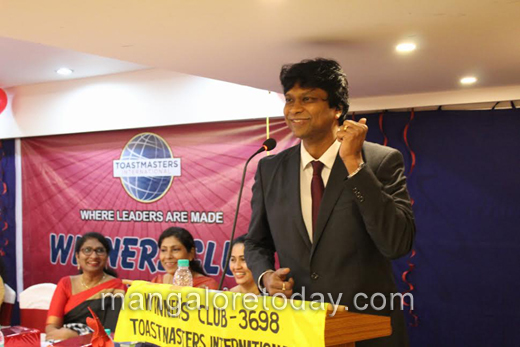 M. N. Pai, Former District Office Bearer urged the Toastmasters of the region to aim for international championship. Sean D’souza, brother of Shwetha D’souza expressed best wishes on behalf of her family. Shahab Arabi proposed the vote of thanks. Prahalad and Manisha were the comperes for the programme.